Shabbychick Junk. 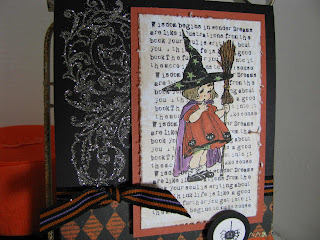 : Crafty Secrets Witchie and New Design Team! What adorable cards! I just got this set and can't wait to ink her up! Oh Lisa..........she is adorable!!!! So cute! Very cute card Lisa. I like the glitter flourish you have in the background. Another awesome card! Its a treat to come to your blog and visit. Darlin' LZ ... you lead the pack of Crafty Designers ... Yaaaahooooooo! 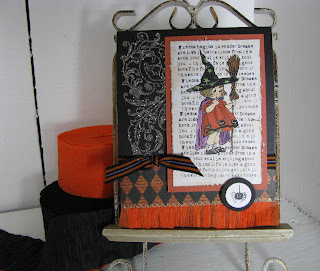 I think that little witch is so sweet! I have her inked up and ready to go! Love your card Lis! I'm so happy to be part of the CS team!!! How sweet is she! I just received my set but haven't inked it up yet ... looks like I'd better get busy!! Thanks Lisa for more inspiration! !